Jayam Ravi's Thani Oruvan audio to release in 15 days? 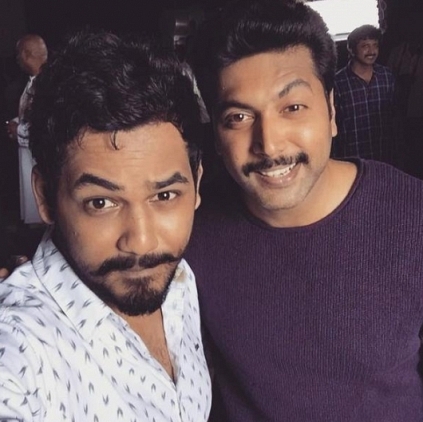 Thani Oruvan marks a reunion of sorts between the brother duo - Jayam Ravi and Jayam Raja, that has given some hit films like Jayam, M Kumaran S/O Mahalakshmi, Enakkum Unakkum and Santhosh Subramaniam. This film which has been in the making for quite a while, is now in its final leg of production. Apparently the shooting as well as the patch works of the film have been wrapped up. Hip Hop Adhi who takes care of the music department is currently said to be working on RR right now. From what we hear, the makers are supposedly planning to release the songs in another 15 days’ time while the film can be expected to hit the screens in the month of August. Exact release dates of both are still awaited. Audio Of Nayanthara - Jayam Ravi's Thani Oruvan From 1st Week Of June. Jayam Ravi - Shakti Soundar Rajan Film To Begin Its Shoots In Mid-June In Ooty. People looking for online information on ‘Hip Hop Tamizha’ Adhi, Jayam Raja, Jayam Ravi, Thani Oruvan will find this news story useful.